This is not an official title; this is a retcon designation official in the Ectozone continuity only; in the shows, this is only referred to as a "Digivice"
The D-Zero is the original model Digivice. The first eight of these were crafted by the Sentries for use by Tai Kamiya's team of DigiDestined. Additional units were created later, and given to the Tamers recruited during the Myotismon and Diablomon crises of 1999 and 2000. The D-Zero allows it's bearer to Digivolve their Digimon partner up to the Champion level. To Digivolve higher requires the use of a Crest and Tag or one of the Digi-Cores of the Digimon Sovereign Azulongmon, though it is unclear if that is a capacity of all Digivice Zeroes, or just the eight given to Kamiya's group. The D-Zero is capable of storing data on Digimon it encounters and downloading it into either Koushiro Izumi's laptop or a D-Terminal. The D-3 is an upgrade to the Digivice Zero. 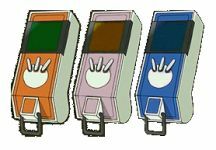 There are a total of six of these: new ones were given to Daisuke Motomiya, Yolei Inoue, and Iori Hida; the other three were transmogrified D-Zeroes posessed by TK Takaishi, Kari Kamiya, and Ken Ichijoji. The D-3 allows it's bearer to Digivolve their Digimon partner up the Champion level, as well as use the power of the Digimentals to trigger Armor Digivolution. The D-3s also synchroniz with each other in pairs to allow DNA Digivolution to Ultimate. TK and Kari would later use Digi-Cores to Digivolve to Ultimate and Mega, but it is unclear if any of the other D-3s could have used this power--the other Digimon were only seen to reach Ultimate through DNA Digivolution. One Mega, Imperialdramon, was created through the use of a Digi-Core on the DNA Ultimate Paildramon, however. 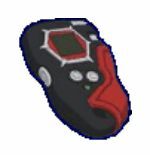 While not technically a Digivice itself, it was designed to work with the D-Zeroes and D-3's to vastly improve their communication capacity, even allowing them to send signals to each other between the Earth and Digital World dimensions. In addition, the D-Terminals were capable of storing the Digimentals. The D-Power was presumably the creation of Monster Maker "Shibumi" (Goro Mizuno) and/or the Digimon Sovereign; some appeared to Tamers by transmogrifying an existing device via the scan of the "Blue Card" (a special algorithm written by Mizuno that also aided Digivolution) while others just simply appeared when a new Tamer/Digimon team formed. The D-Power allows a Tamer to assist their Digimon in battle though the use of "Digi-Modification", the scanning into the device of a Hyper Colleseum battle card (the Digimon card game popular in Japan, known in the United States as "Digi Battle") This includes Digivolution effects, though at least at first these Digivolutions needed to be aided by the power of Calumon. The D-Power allows Digivolution to the Mega level, but apparently only though "Bio Merging", the total union of the Tamer and Digimon. Not all Tamers have this ability. There are no recorded accounts of D-Power users using Sigil Artifacts. The D-Tectors were created by the power of Ophanimon, the Celestial of Light; five of them were transmogrified from cel phones, and a sixth was created later. All were dissolved or returned to cel phone form after the DigiDestined defeated Lucemon. They also had the power to both scan and render fractal codes, the essence of a Digimon's power. Once the fractal codes were rendered at the end of the DigiDestined's mission, the Digital World that had been all but destroyed by the Royal Knights and Lucemon was restored. 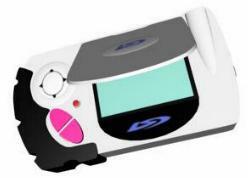 The Digivice iC was devised by the Digimon monitoring organization DATS. 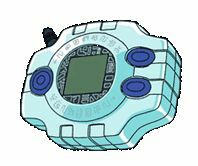 It's most notable power, unseen by any other Digivice to date, is it's ability to store it's user's Digimon partner inside it in a Digitized state. It can apparently aid in Digivolution, though thus far it seems to require the manifestation, in the Tamer, of a state called the "Digi Soul", which apparently shares some of the properties of Sigil Artifacts and Calumon. 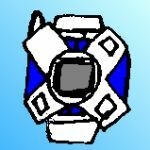 The Digivice Burst is an upgrade of the Digivice iC, which allows the user to "supercharge" thier Mega Digimon, transforming them to a more powerful form referred to as "Burst Mode"
The powers of this latest Digivice are unknown. Four are known to exist at present, and are carried by four children of the First and Second teams of DigiDestined: Kazuya Kamiya, Go Ishida, Gina Kido, and Yuki Takaishi. They have already been used to facilitate the Digivolution of the four children's partners from their InTraining to Rookie forms. Their communication and detection capacity already seems to be more advanced than the D-Zeroes and D-3s of their parents, but this is probably to be expected.